I just want to tell JA which feeling I got every time I visit this topic about the status of the template updates. This feeling can only described as a great disappointment. And I really understand the problem that your development partly depends on how the Joomla team releases an update. And yes I understand that you have to do a lot of work for updating all the templates and modules. And yes I undstand that it isn’t possible to have an fix for problems caused by the T3 framework or templates within 24 hours. And yes I understand that an good developer makes a backup before updating (I did 😉 ). But what I don’t understand is that there is a lack of communication about what and when update will come. Also think about the feeling of YOUR customers when I see an release about some new blocks for JAbuilder when there are problems with other products. Many of the developers here are confronted with problems with their clients. Please realize that their clients don’t understand anything of the problems but only see an broken or death website for over three weeks now. I am probably the lucky one without problems in production but the way it goes now irritates me. I had a Developer membership for many years but now I am feeling quite frustrated. In these years I spent a lot of my time with repairing modules, templates after a Joomla upgrade… until the JA reinforcement is coming 😉 Telling the truth a few JA guy helped me a lot via the forum – I am grateful to them – but it was also much more effort from me than I thought it at the beginning. So I am still here but should I pay or should I go? Any update on the fix for JA Directory ?? This is going on for a month now ! I get that Joomlart has many templates to update, but so do many other template clubs and developers. I belong to more than one and one was ready BEFORE Joomla 3.7 was released and another had all templates (96) updated within 48 hrs of release so I have to agree that Joomlart is lagging here. 3 weeks to a month is too long to wait! Time to move on and uninstall and replace Joomlart templates. Background images disappear in JA Resume after update even to Joomla 3.7.2 …. What now ? And please don’t send me to another topic that I have no access in this forum, as my subscription may be over, but the template I bought is said to be Joomla 3.X compatible. And my Joomla is 3.X … so what is the fix? Site crash during Teline V installation. I tried to install Teline V on a 3.7.1 website and the result was a complete crash, ending in an "Error 500" message. The site has to be put back by the hosting company from a back-up version because it’s no longer reachable. 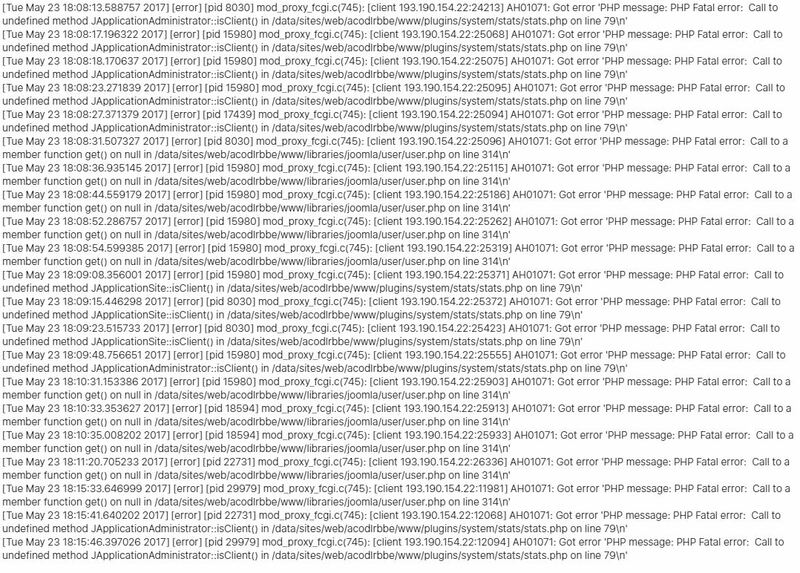 I’ve included the logfiles, provided by our hosting company. We would like to continue our site development with the Teline template. Any suggestions on how to avoid a new crash are welcome. Hey guys, better late than never! 😉 It seems to me that T3 Framework 2.6.5 update solved a lot… at least at my sites! thanks for the updates that you are still delivering. I am waiting for the JA Nuevo template, do you have an idea when you will upgrade it? Or, do you have somewhere a schedule of the coming upgrades to J3.7? Please can you tell me when JA University Template will be updated? Kindly for your reply. When will the JA Magz theme be Joomla 3.7 upgraded? Responsive All in 1 Joomla template – Uber. Uber is the perfect All in 1 Joomla template to help everyone build their business site. This special Joomla template is a feature project for Joomla 3 & Joomla 2.5. It is a built with T3 Framework template with Bootstrap 3, and the Advanced Custom Module. Uber is the first JoomlArt template to sport on the brand new Advanced Custom Module (ACM). With ACM, one can build a whole website from the scratch with multiple content blocks for Testimonials, CTA, Gallery, Slideshow, Pricing Table, Features Intro, etc. Just choose the blocks you desire and start to connect them. Along with ThemeMagic and Layout Configurator, you can create your own startup site. Quick and easy. Note: The power of ACM is unleashed in this video. Take it at your own risk! I have been waiting for 3 weeks for an update on JA Sugite. I have been a repeat customer and I would like to stay your customer.